Phoslab Environmental Laboratories is among Florida’s leading pesticide testing labs for timely and accurate pesticide residue testing. Testing for pesticides and herbicides is not only critical to the protection of the environment and human health, but also mandated by state and federal regulations, overseas destination limits, and customer specifications. At Phoslab Environmental, we offer some of the most comprehensive pesticide testing services in Florida. Testing can be directed to water, soil, fresh food, and processed foods; it can include screens for panels of compounds or analysis for specific pesticides. We constantly remain up-to-date on the requirements of pesticide residue analysis for the agricultural and environmental industries. Federal and state regulations target pesticides in order to protect both human health and the environment. 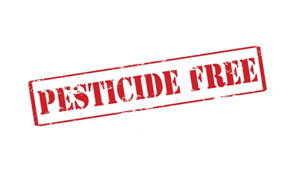 Federally, pesticides are regulated by the Environmental Protection Agency (EPA) under the authority of laws that include the Federal Insecticide, Fungicide and Rodenticide Act. The Food and Drug Administration (FDA) also has a say, enforcing the tolerances that the EPA sets. Florida laws affect every pesticide that is distributed, sold, or transported; they must be registered with the state, undergo testing, and include complete labelling. Agriculture plays an important role in our beautiful state and Phoslab Environmental’s careful pesticide testing methods allow you to carry on your business in a safe and compliant way. Pesticides are biologically active (in other words, toxic) materials that are purposefully dispersed into the environment to kill living organisms, from weeds to fungus to insects. It should not be surprising, then, that pesticide exposure through contaminated food is dangerous to humans and other living beings. Pesticide exposure can cause a wide range of harmful effects, varying in part based on the level of toxicity, the amount of exposure, and the susceptibility of the individual. Different types of pesticides have different detrimental effects because they target specific organisms. Herbicides tend to have fewer toxic effects to humans because the plants that they target are physiologically different from humans. However, certain ingredients in herbicide residue can cause headaches, intestinal effects, or even aggressive behavior if ingested. Insecticides lead to most of the confirmed pesticide poisonings in this country. Common insecticide ingredients can cause problems with the nervous system, intestinal disturbance, irritation to skin and upper respiratory tract, dizziness, seizures, and coma. Fungicides are generally less toxic to humans but the can still cause skin and eye irritation or, when inhaled as spray mist, throat and respiratory irritation. Our technical staff and consultants have years of experience working with technical managers and agronomists within the fresh produce industry. Florida statutes require that an analysis deficiency be no more than 3% of the guaranteed amount of an active ingredient, unless an exception applies. Any greater variation is subject to a fine of up to $10,000 per violation. A fine can also be imposed for misbranding if the ingredients are deemed misbranded. In other words, relying on an inaccurate food testing lab could be a costly mistake. When it comes to pesticide analysis, the sampling is crucial. In accordance with the EPA standards, proper sampling techniques vary based on the type of product. To prevent potential loss of data due to volatility of many pesticides, the samples need to be sent to a laboratory quickly. At the laboratory, samples are homogenized with the use of liquid nitrogen or dry ice and a fine grinding procedure. After the sample is reduced to a uniform particle size, is can be subjected to extraction methods in accordance with the FDA’s Pesticide Analytical Manual and then analyzed. Gas or liquid chromatography separate the compounds to test for residues of compounds. Selective detectors can further pinpoint specific molecular characteristics. Mass spectrometry offers an even more detailed picture as it breaks down the molecules into fragments that can be analyzed but it also allows for quicker results from a smaller sample. Our pesticide residue testing is conducted in our state-of-the-art laboratory and includes full pre- and post-analysis. We utilize the standard pesticide tests including liquid chromatography and gas chromatography, both incorporating highly sensitive mass spectrometry detection. Together, our testing methods cover over 450 chemicals which have been carefully classified from the chemicals routinely used in industry, including those chemicals that have been banned for toxicological reasons. 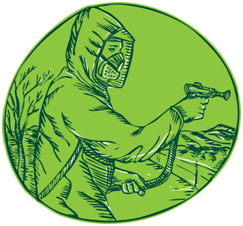 Because we work closely with pesticide manufacturers and analyze U.S. pesticide programs, the chemical screening list is constantly updated to provide you with the most relevant results and the best value for your money. When deciding on a Florida pesticide testing lab, put highly accurate, timely, and affordable food safety testing first. With Phoslab Environmental, you receive expert analysis from a state of the art lab. Both the financial and ecological effects of pesticide mis-handling are great risks. At Phoslab Environmental, we can assist you in designing appropriate testing programs, identifying key risks, and creating sampling protocols. We can also make recommendations if additional pesticide residue testing is needed. Give us a call at (888) 997-3020 for more information.